McDonald’s Corp., which is involved in a lingering legal dispute over whether it is a joint employer, is now dropping its lobbying efforts against minimum wage hikes, an issue that led to its legal wrangle in the first place. 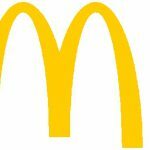 McDonald’s unveiled its new position yesterday in a letter to the National Restaurant Association. The corporation’s dispute with the National Labor Relations Board (NLRB) not coincidentally arose from a group of franchisee employees who marched for higher wages under the banner of “Fight for $15.” The group’s lawsuit against McDonald’s alleges the corporation as a joint employer is responsible for their treatment at the hands of franchise owners, who in many instances terminated them for their protests. “Since day one, we’ve called for $15 and union rights and we’re not going to stop marching, speaking out and striking until we win both,” said Terrence Wise, an organizer for the movement.